Malaria has been around for millennia, and there are written references to it from early societies in China, India, Mesopotamia, Egypt, and Greece. Each year an estimated 500 million people are infected worldwide, making malaria a major public health concern. Some countries still experience malaria epidemics, which can also result in significant economic losses. Malaria is typically transmitted to humans by mosquitos that are infected with the protozoan parasite of the Plasmodium species. Much research has been conducted to learn more about the parasites so they can be controlled more effectively or even eradicated; however, there is still more to learn. The article “Malaria's Many Mates: Past, Present, and Future of the Systematics of the Order Haemosporida,” in The Journal of Parasitology, reviews the history of malaria research and examines the approaches to that research. There are five malaria parasites, Plasmodium species in the order Haemosporida, that infect humans. Traditionally, identifying and classifying parasites relied on studying the parasite life history, anatomical features, and host species. Studying relatives of parasites that infect other hosts, especially birds, have also provided insights into the complex parasite life cycle (other primary hosts are lizards and bats). Later, molecular research focused on the genetic and evolutionary relationships of the hosts and parasites. Of particular interest is gaining a better understanding of patterns of host switching, especially the timing of the switches into humans. Another topic of interest concerns the origin of a particularly virulent Plasmodium species, whether it originated in birds or mammals. Knowing more about how the parasites interact with host immune systems and gaining a better understanding of the parasites’ genetic structure can lead to the development of drugs and vaccines. For such research, many more Haemosporida samples are needed from vertebrate hosts worldwide. 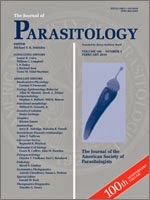 Full text of the article: “Malaria's Many Mates: Past, Present, and Future of the Systematics of the Order Haemosporida,” Journal of Parasitology, Vol. 100, No. 1, 2014.